Fast, nutritious, and delicious, your whole family will flip over these easy breakfast sandwiches! Everyone loves a quick and easy breakfast, right? I know I do! Especially a hot breakfast that's homemade and somewhat healthy. 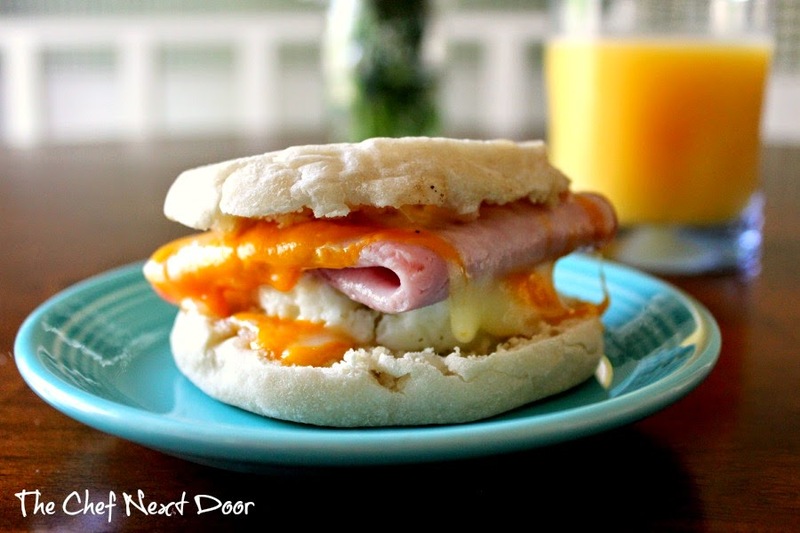 Well my friends, these breakfast sandwiches are just that! If you've got 5 minutes then you have plenty of time to make your kids or yourself a hearty and delicious muffin sandwich. The egg cooks in the microwave in one minute flat, and you can get the rest of the ingredients ready to go while that's happening. So what are you waiting for? 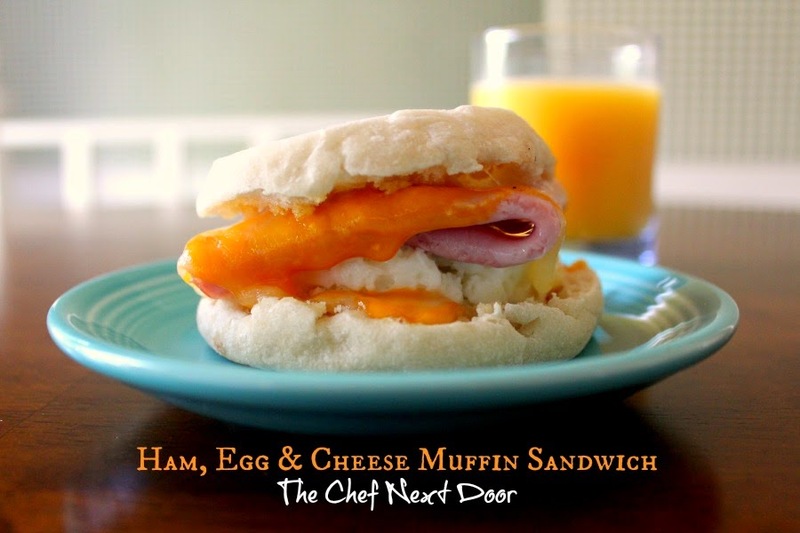 Start making some breakfast sandwiches and fuel up for the day! Spray a small ramekin lightly with non-stick cooking spray. Gently crack the egg into the dish and sprinkle with salt and pepper. Cover the dish with a paper towel and microwave for 1 minute. While the egg is cooking, toast the English muffin. Once it's done spread with a bit of butter. Turn on the toaster oven or preheat the broiler. When the egg is ready, set it on the bottom half of the English muffin. Top the egg with the slice of ham, then the cheese. Pop that half in the toaster oven or under the broiler for just a minute until the cheese is melted. Add the top of the English muffin to complete the sandwich. Huge thanks to the United Dairy Industry of Michigan for sponsoring this post! I was compensated for developing a recipe using Michigan dairy products, however, all opinions are my own. UDIM is the umbrella organization for the American Dairy Association and Dairy Council of Michigan. Their goal is to promote Michigan’s locally produced dairy products and reconnect consumers with the people behind their food.